Sunday, November 20th is World Day of Remembrance for Road Traffic Victims. It’s a day I’ve marked since my mother was killed crossing a street while returning home from an ordinary, afternoon shopping trip. When my first published book, THE COTTAGE AT FIREFLY LAKE, releases on January 31, 2017, it’s dedicated to “my dear mom, in loving memory.” Almost five years after her death, that dedication celebrates her life and what she means to me. The writer I am owes much to my mother’s influence. She shared her love of reading with me and, as a small-town girl, she nurtured my affection for the kind of places where my stories are set—small communities where neighborliness is a way of life and family ties are strong. And at a time of often seismic upheaval in the world at large, they’re also places where change comes more slowly. I spent many happy childhood summers in the small town where my mom grew up; a town much like Firefly Lake. It’s a place steeped in the sense of caring and connectedness that represents what’s best about community, and it’s where she now rests in an old rural cemetery beside my dad and several generations of her family. 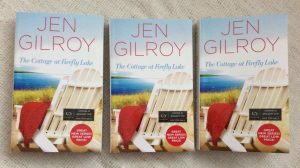 When I visit my mom for a day of remembrance I wish I didn’t have to mark, I’ll take an advance reading copy (ARC) of THE COTTAGE AT FIREFLY LAKE with me. Mom always believed I’d be a published author, and I want to share this milestone with the woman who gave me life and so much more. 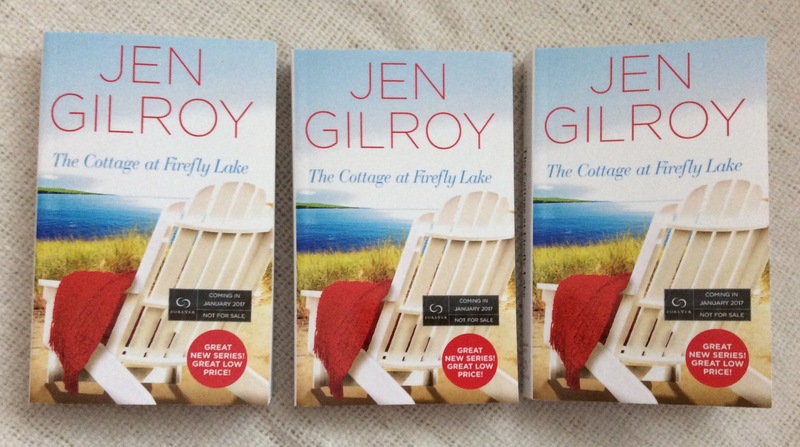 Would you like to read a pre-release, ARC (uncorrected page proofs copy) of THE COTTAGE AT FIREFLY LAKE? I have three signed paperbacks to give away. To be eligible to win one, all you have to do is subscribe to my new, quarterly, author newsletter here. I’ll pick three subscriber names at random on Tuesday, November 22 and announce winners that day. My fortnightly blog posts are musings about life and sometimes writing. My author newsletter (from January 2017) will keep you updated on my book releases, including exclusive subscriber content, contests, and giveaways. It runs until midnight ET on Monday, November 21, 2016. You’ve had your own grief journey, Arlene, so your comment has extra poignancy for me. Thank you, my friend. I’m so sorry about your mom, but it’s so nice to be able to take all those wonderful memories and put them into something tangible that makes you think of her whenever you see it. Hugs. Thanks so much, Jennifer. Your words of support mean a great deal. Your Mom was an incredibly special lady, and she will never be forgotten. Her legacy lives on in many others, but especially in you and English Rose. As you knew my mom, Heidi, your comment is especially meaningful. Thank you. The loss of your mum in such a terrible way was a tradegy but how wonderful that you have become a published author just as she thought you would. I think dedicating your book to her is such a fitting tribute. Thank you, Linda. I appreciate your kind words. I’d just started writing THE COTTAGE AT FIREFLY LAKE when I lost my mom so that makes the dedication even more meaningful to me. Didn’t know about your mom. Sure that was tough but she’d be thrilled to see you reaching your dreams and touched by your dedication. I look forward to reading and I’ll think of your mom when I do. Hugs. Thanks for your kind words, Tracy. I appreciate your support. Hugs in return. Nothing can possibly make up for the loss of your mother, but how wonderful that you have dedicated your debut novel to her memory. Death through a traffic accident is something that has touched my family as well. It comes as such a brutal shock to those left behind. 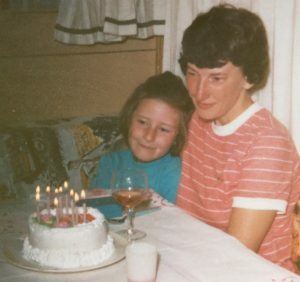 I know that when your book is published, it will sadden you to think that your mum isn’t there to see it and share your joy, but I hope that being able to dedicate it to her will bring you a little solace. Your readers will be thinking of her too. Thank you, Sue. I appreciate your kind and comforting words. I’m sorry that your family has also been impacted by road death. Dedicating my first book to my mum has been healing for me. I like to think that somewhere, somehow she knows. What a lovely tribute to your mom. She would have been so proud of you & all you’ve accomplished. With all the challenges you’ve had to deal with the past year, I’m in awe of you as well. Am missing both my neighbours. Your comment touched my heart, Sylvia. Thank you.